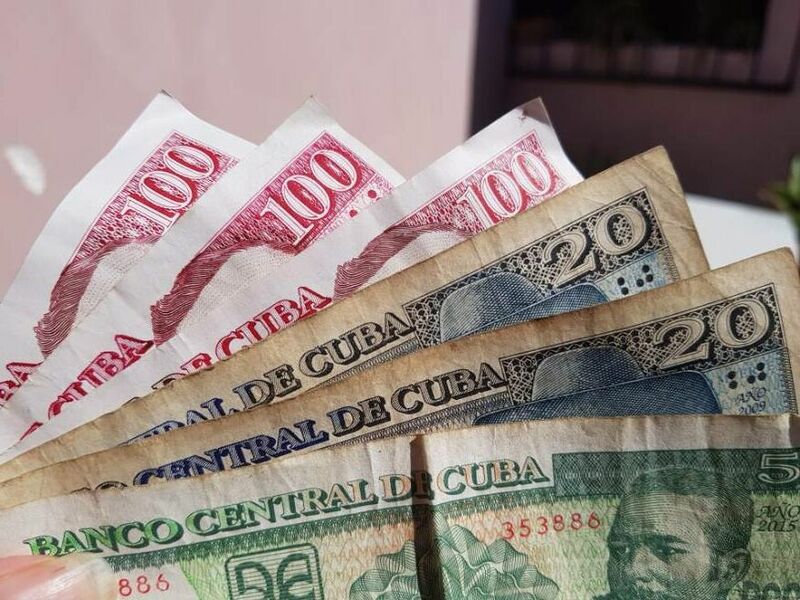 There are two currencies in Cuba, one is the National Peso (CUP), and the other is Convertible Peso (CUC). 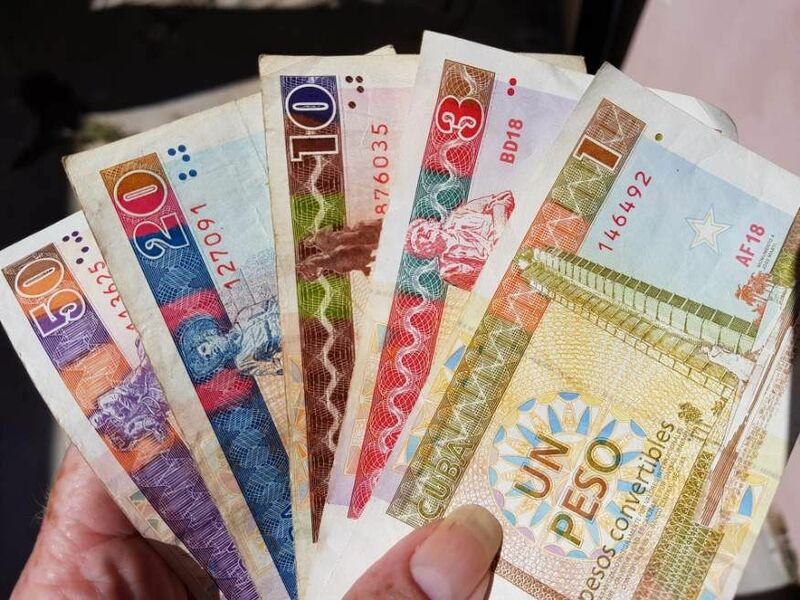 Convertible Pesos are valued at 1 to 1 with the U. S. Dollar, while the National Peso is about 25 pesos per dollar. When I was researching Cuba before we arrived I read lots of articles that said the CUC is only for tourists and the CUP is only for locals. In my own personal experience in August 2017, this isnt true. Yes there are 2 currencies but they are not mutually exclusive. We went out shopping in the local supermarket with the owner of our casa and she paid in CUC not CUP. In fact all the items for sale in the supermarket were in CUC only, although I did notice in a different supermarket all items had 2 prices. While I was in the bank getting money out from my visa card I exchanged some of the CUC into CUP without a problem. When we found eggs I could paid in CUP as that was the going currency. CUPs are great for buying fresh fruit from a local market, catching a local taxi or ferry and some local restaurants. Having said that you can pay using CUC if thats all you have, but then youll most likely get change back in CUP which is really confusing to work out if its correct. 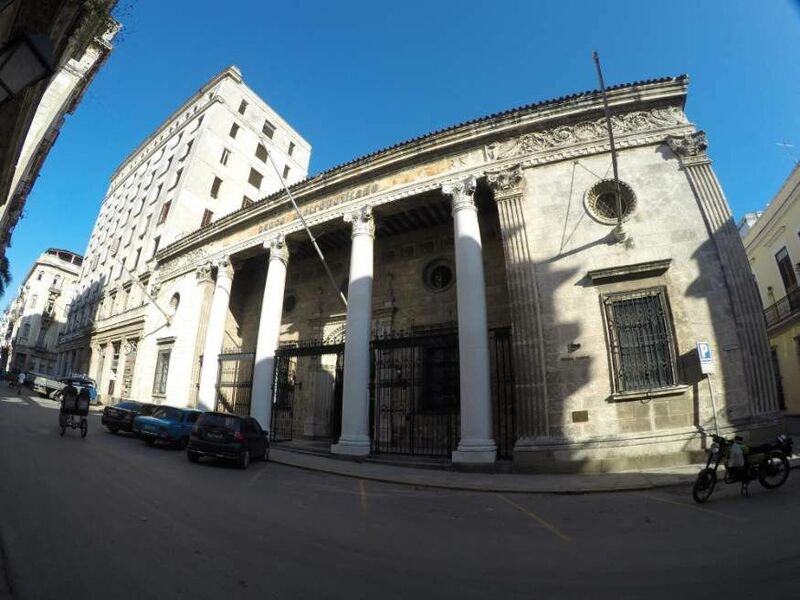 You can exchange your money at places are known as CADECAs or a bank in Cuba. It is possible to exchange U. S. Dollars, Euros, British Pounds, Mexican Pesos, and a few other currencies, but NOT Australian or New Zealand dollars. The worst currency to exchange is the U. S. Dollar as it gets an extra 10% fee in addition to the current exchange rate while all the other currencies don’t get any additional fee. Better to get Euros or British Pounds, you can exchange these at the airport quickly. Changing USD into CUC will cost a fraction more as you can see from my bank withdrawal above, not worth worrying about the difference as it’s so tiny, much easier to say $1 CUC = $1 USD. Doesn’t change much, as CUC’s are not traded worldwide. Unlike other regular currencies, you can’t buy CUCs anywhere other than in Cuba. Depending on how much cash you need will determine which bank you need to go to as they are not created equal. There is a bank just on the corner near our casa, so off I trotted expecting to withdraw cash from my visa card at the teller’s counter. On entry I was told I could only get cash from the ATM machine outside which had a limit of $200 CUC. The machines aren’t linked so you can go to another bank and withdraw another $200 on the same day if you want. Better you just go to the right bank! I would recommend $100 cuc per day on food and another $100 CUC on activities, taxis and tours. My transaction was done in USD when withdrawing cash from my visa card at the bank. The exchange rate on the day was $1500 CUC cost me $1550.40 USD. I then exchanged $100 CUC and got $2400 CUP, I then had to try and stuff all the notes into my wallet, felt like I was rich! 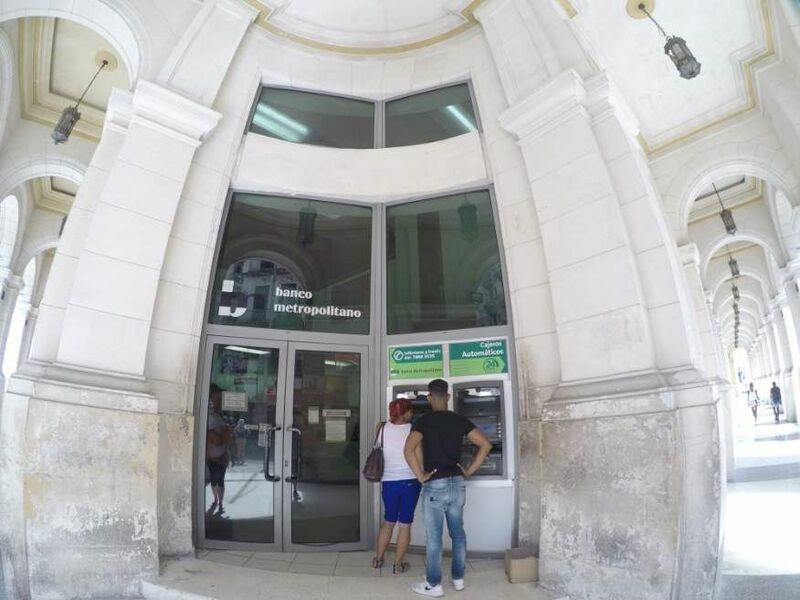 Sorry guys youre out of luck, you cant withdraw any money out of a Cuban bank using a US credit or bank card, even if you’re from another country. You need to have enough cash to see you through your entire stay. 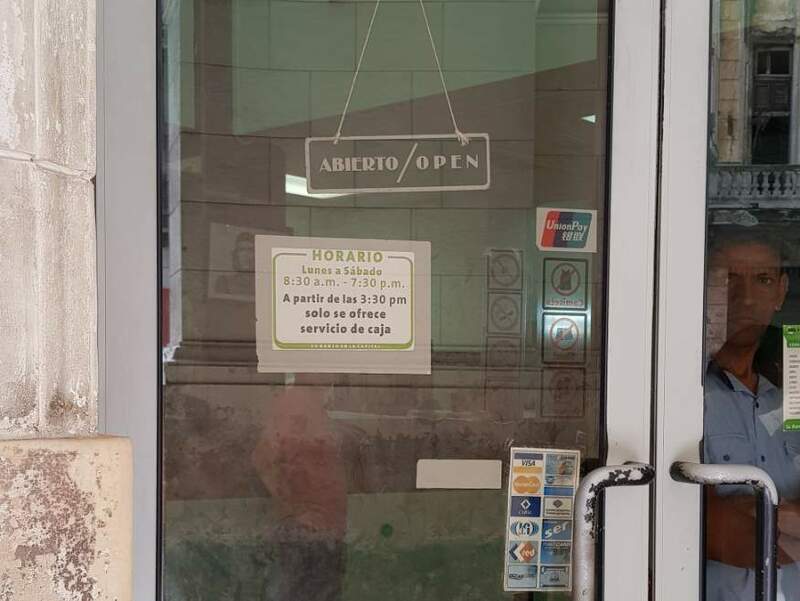 I must say the bank open hours in Cuba are truly fantastic, open 7 days and late nights. Banks are open from 8.30am to 7.30pm Monday to Saturday and to 3.30pm on Sunday. This applies to the two big banks in Old Havana. If you go after 6.30pm there will be no crowd or que. If you have to go during the day go to the bank down OReilly St, its by far the biggest and has way more tellers to cope with the locals and has one dedicated teller for foreigners.